Watson this guy’s mind, we wonder? Who’s this with the new do? As we know, Sherlock Series Four has been filming for about a week now – and we finally have our first image of Benedict Cumberbatch back as Sherlock Holmes! Exciting, eh? 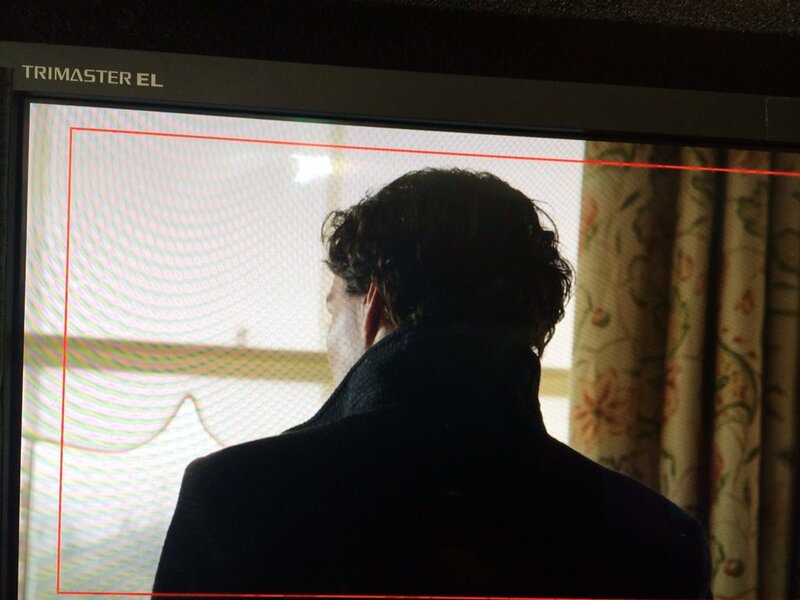 However, some fans aren’t convinced that this is Cumberbatch’s own hair. It was previously revealed that the actor wore a wig for the modern-day scenes of ‘The Abominable Bride’ so some think he is doing so again here. Evidence for this is that Benedict was seen filming Marvel movie Doctor Strange very recently, with short hair. One thing’s for sure, Sherlock‘s hair and makeup artist wasn’t going to give anything away. We’ll bring you more on Sherlock Series Four as we hear it. Glad Sherlock is back! I hope the storylines this season focus on Sherlock and Watson as the sleuths with less input from Mary. The chemistry between the two male leads together with the brilliant writing is so unique there is no need for the gratuitous ” strong female” presence, Mary, in every episode.